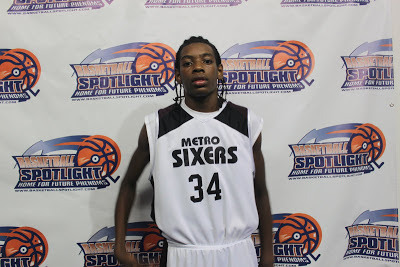 The Basketball Spotlight Player Of The Week goes to Brandon Slater of Metro Sixers. Slater averaged close to 20 points a game including a 21 point (3 treys) performance in the 7th Grade AC Showcase championship game against DC Assault. Congratulations to Brandon and keep up the good work this is just the beginning.